Home Home Renewable energy Solar panels World's first panda-shaped solar energy farm built in China. World's first panda-shaped solar energy farm built in China. China has built the world's first Panda Power Plant in Datong Shanxi. The station is expected to provide 3.2 billion kilowatt-hours of solar energy in 25 years. That’s comparable to saving 1.056 million tons of coal, reducing carbon emissions by 2.74 million tons. The project is backed by United Nations Development Programme (UNDP) and will play a crucial role in creating awareness about sustainable development among young people. 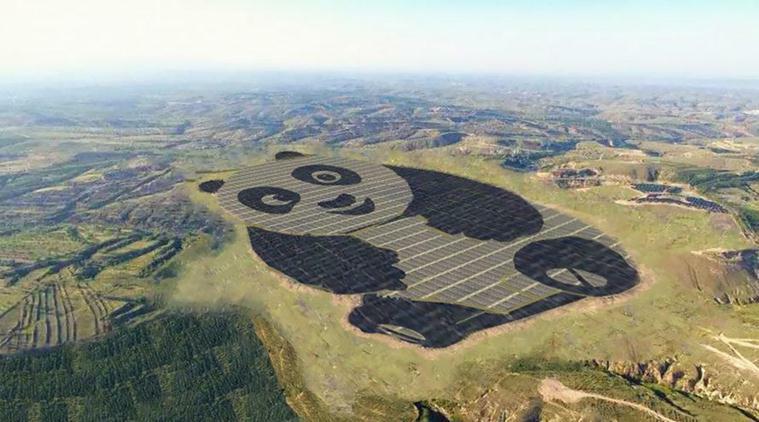 < "Designing the plant in the shape of a panda could inspire young people and get them interested in the applications of solar power," said Li Yuan, CEO at Chinese company Panda Green Energy that built the station. Young candidates from around China will be recruited to participate in summer camps at the panda power stations, with a focus on providing them with a deeper understanding of green energies, 'The Telegraph' reported.